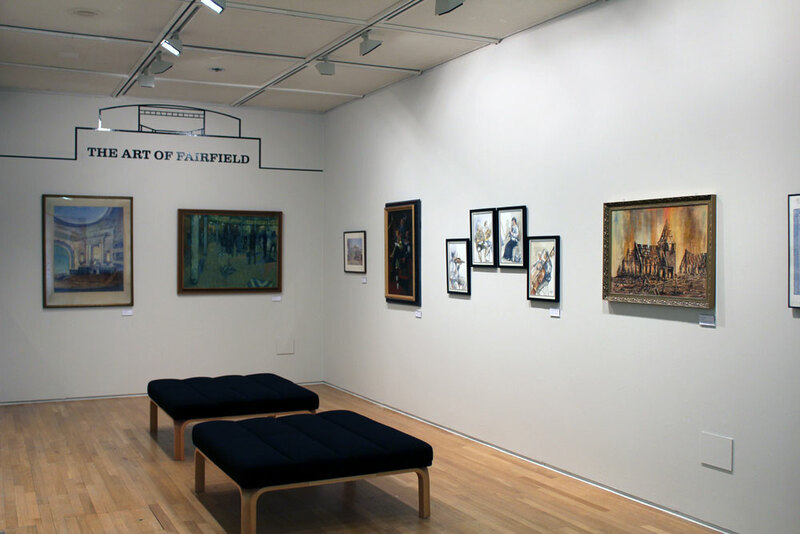 The Art of Fairfield exhibition displayed works that were formerly hung throughout the Fairfield Halls. Some of the works displayed by local artist Norman Partridge depicted theatres in Croydon that no longer exist, including the Davis Theatre and the Grand Theatre which were pulled down in 1959. Other highlights on display were works depicting Croydon’s resident orchestra the London Mozart Players, some in house marketing designs and a work which recognised the Croydon –Arnhem Link. All works exhibited noted where they were formerly displayed in the Halls, and perhaps were seen for the first time as a collection by visitors.